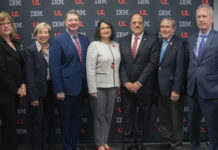 The Christina Lee Brown Envirome Institute and its Center for Healthy Air, Water and Soil at the University of Louisville will host a satellite mini-conference of the World Health Organization’s Global Conference on Air Pollution and Health on Tuesday and Wednesday, Oct. 30-31. The conference will be held from 10 a.m. to 1 p.m. each day at the University Club, 200 E. Brandeis Ave. The mini conference will include video streams from the plenary session of the main conference in Geneva with an opportunity for discussions in Louisville to be shared with the main conference each day. Tuesday’s session will open with remarks from Smith. A session will follow that examines the scientific evidence that exists showing the impact air pollution has on health with a discussion to follow mediated by Daniel Conklin, PhD, UofL professor of medicine. Wednesday’s session will cover engaging the health sector as a leader of change in public policy, and communication, advocacy and partnerships to develop opportunities and remove barriers for promoting clean air policy. Admission is free but reservations are required to receive a box lunch. To register, go to the online registration form here. The event is organized in collaboration with the United National Environment Programme, World Meteorological Organization, Climate and Clean Air Coalition, the secretariat of the UN Framework Convention on Climate Change, UN Economic Commission for Europe and The World Bank.